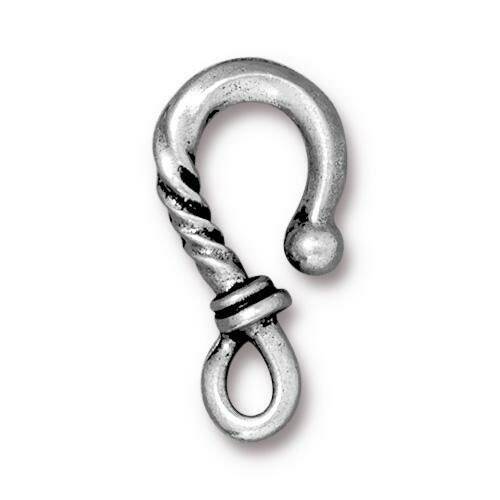 TierraCast Twisted Hook in antiqued silver plated pewter. The design is on both sides of the findings. Use these as part of a clasp for bracelets or necklaces. The listing is for the hooks only.